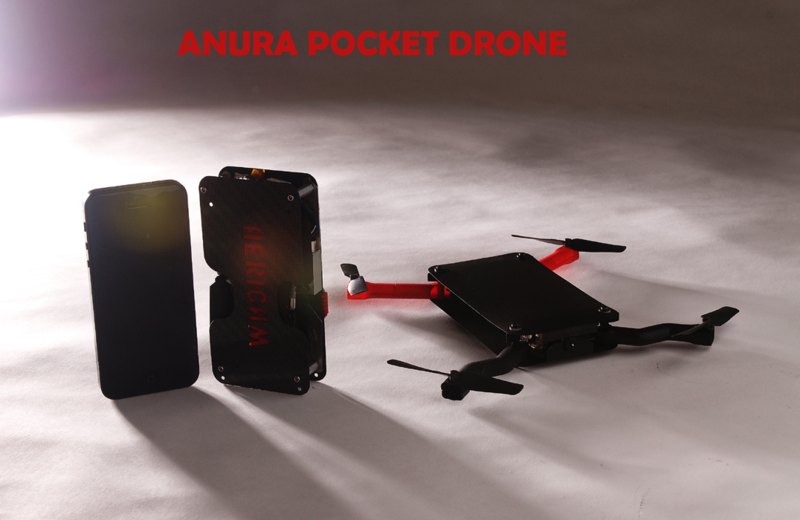 AeriCam Releases the Anura; a Revolutionary Pocket Size Drone. The Anura is AeriCam’s game changer for the drone consumer market. Anura is a mini drone that’s designed to fit in pants or shirt pockets, with all sensitive parts protected. Your smart phone is the only thing you need to operate the Anura. The Anura is the first drone in the consumer market to travel with the user 24/7, whenever and wherever. This allowing users to never miss a moment; capturing aerial photo and video. It is user friendly, so one can simply enjoy the thrill and freedom of flying. The Anura was designed to inspire people who are interested in flight, photography, videography, or just to entertain. Anura is controlled via Wi-Fi to your smart phone (IOS/Android), and through the App. You can fully control the aircraft’s direction. Anura features a micro camera and the view of the camera is streamed through Wi-Fi to your smart phone; which allows you to capture the exact photo and video from the App. Anura also features functions such as auto take off, auto land, return home, and follow the phone; which makes it one of the most powerful and versatile mini drone of its class. AeriCam is a San Francisco based company established for developing aerial cinematography solutions. The company has designed drones and camera equipment for six years, and combines a strong technical expertise with a long history of delivering professional and reliable equipment. The Anura is AeriCam’s first consumer product, but you can be certain it will share the same traits as their professional line. Anura will be available for pre-order through Kickstarter, and you can check updates and product launch information on www.AeriCam.com. Dieser Eintrag wurde veröffentlicht in Crowdfunding, Development, General, Hardware, UAV und verschlagwortet mit Anura, Drone, Kickstarter, Pocket, Smartphone von Sebastian Trella. Permanenter Link zum Eintrag.